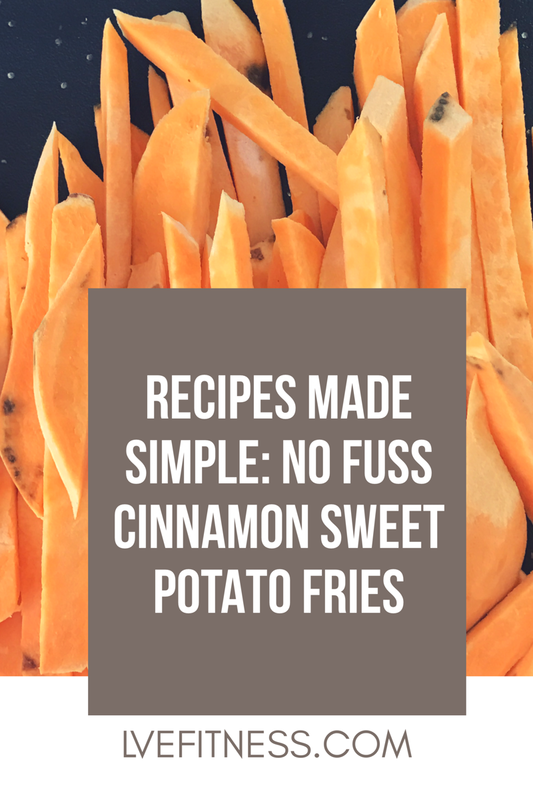 As part of my Recipes Made Simple Cooking Guide, one of my favorite sides to use are sweet potatoes. This recipe is very simple. All you will need is 1 large sweet potato, 1 tablespoon of cinnamon and cooking spray. Spread fries onto a baking sheet and spray with cooking spray. Evenly coat the fries with 1 tablespoon of cinnamon. Place into the oven and cook until tender usually 15-20 minutes depending on how thick you cut your fries. Optional: once tender, spray the fries one more time and place in the broiler on low for 2 minutes. This will give the fries a little extra crisp.